Former WBAL Radio and 98 Rock traffic reporter Dave Sandler died Thursday after battling a long illness, according to WBAL Radio. BALTIMORE — Former WBAL Radio and 98 Rock traffic reporter Dave Sandler died Thursday after battling a long illness, according to WBAL Radio. 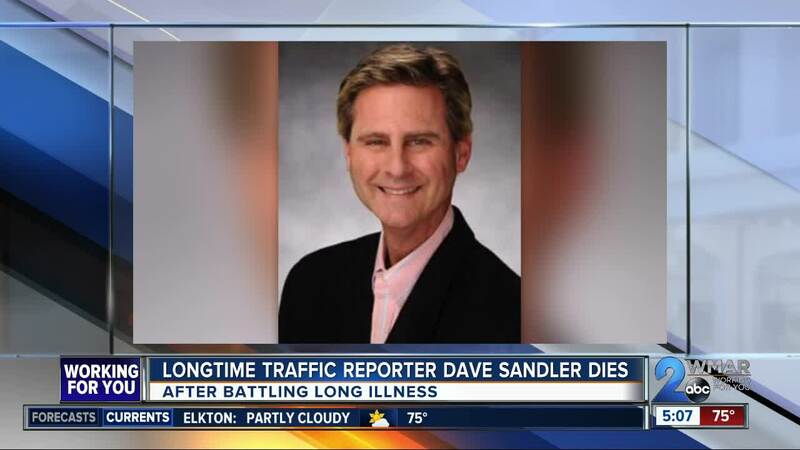 Sandler, known to listeners as "Detour Dave', started working at WBAL Radio and 98 Rock in 1986. He delivered traffic updates to the Baltimore metro area for 30 years. He was also a professional disc jockey at weddings, Bar-Mitzvahs and reunions. Sandler had undergone a number of health problems over the years. He is survived by his wife Jody, daughter, son, brother and a step-sister.